Hundreds of users have chosen the Pro Version! Thanks to all! 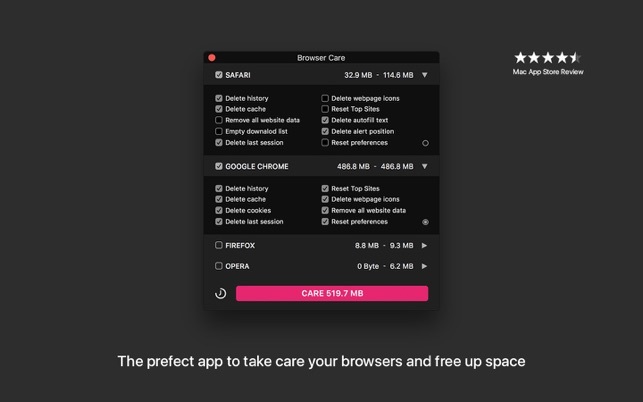 The perfect app to take care your browsers and free up space. 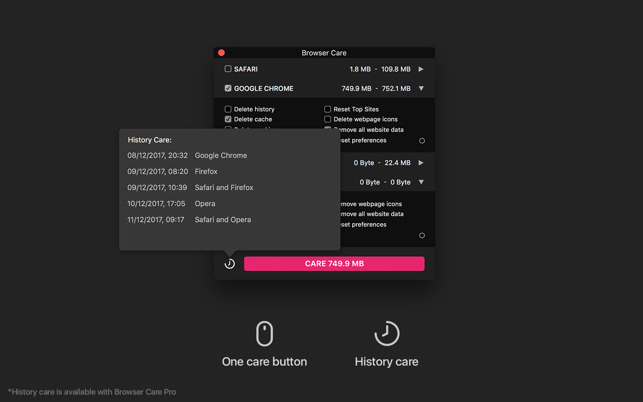 Browser Care keeps your browsers clean and under control since navigating accumulates files on your Mac. Browser Care provides detailed information on each item. It has everything you need to care for your browsers in the most simple manner. How much space can you recover on your Mac? Browser Care is the solution. 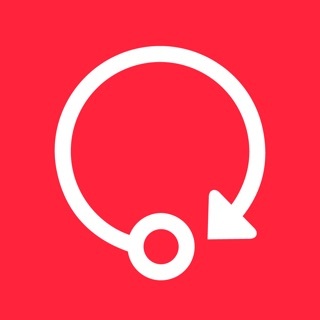 Get Pro version for Firefox, Google Chrome, Opera and history care. Quick and easy settings to keep everything under control. 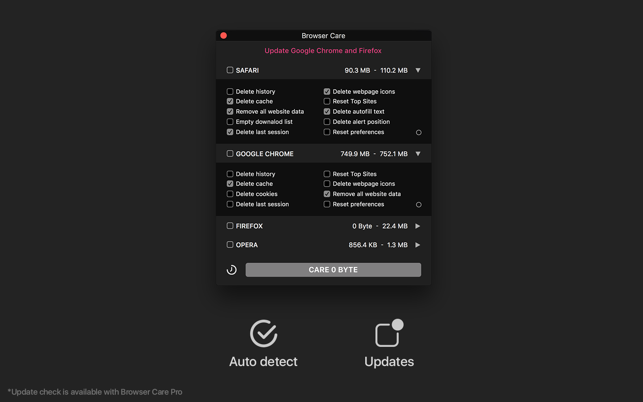 Browser Care detect automatically browsers installed on your Mac. Thank you even for all the feedback to make this app better. I am very pleased that this program does exactly what I want. Which is to remove all evidence of tracking from my Safari browser. Thank you very much. after download, it says that i have to pay if i want to make a changes. Thanks for your review! You can take care of Safari for free.